Some people seem to have difficulties turning off Windows 8, believe it or not. Although most people just use the laptop lid and don’t care or the power button on their desktop, there are quite a few more ways to shut down Windows 8. Microsoft has provided the Shutdown and Restart buttons for Windows 8, under Settings in the Charms Bar. To show the Charms bar, press Win+C to open Charms and then click on Settings. Alternatively pressing Win+I will directly open the Settings.Once here, clicking on Power button will display options to Shutdown, Restart or Sleep the Windows 8 computer. While on your desktop, click on Alt+F4 to bring up the shutdown dialog box. This box will give you quick access to shutdown, restart, sleep, switch user and sign out from your Windows 8 computer. 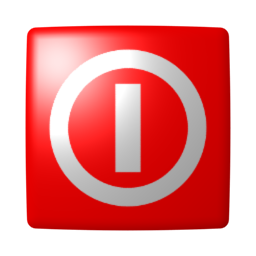 One quick way to shutdown or restart Windows 8 would be to use our freeware tool called HotShut. 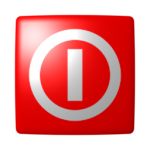 This light-weight portable tool, will sit quietly in your taskbar notification area and give you options to shutdown, restart lock and log off. You can also set it to start with Windows 8. But my personal favorite is using a simple shortcut. Right click on the desktop, and choose New Shortcut. In the file location, type “C:\Windows\System32\shutdown.exe -s -t 0”. Choose Change Icon and choose the shutdown icon (or any other you like). Click OK twice. Right click on it and choose “pin to start”. After you do that, when you want to shut down, hit start on the keyboard and click on the shutdown icon. Easy.